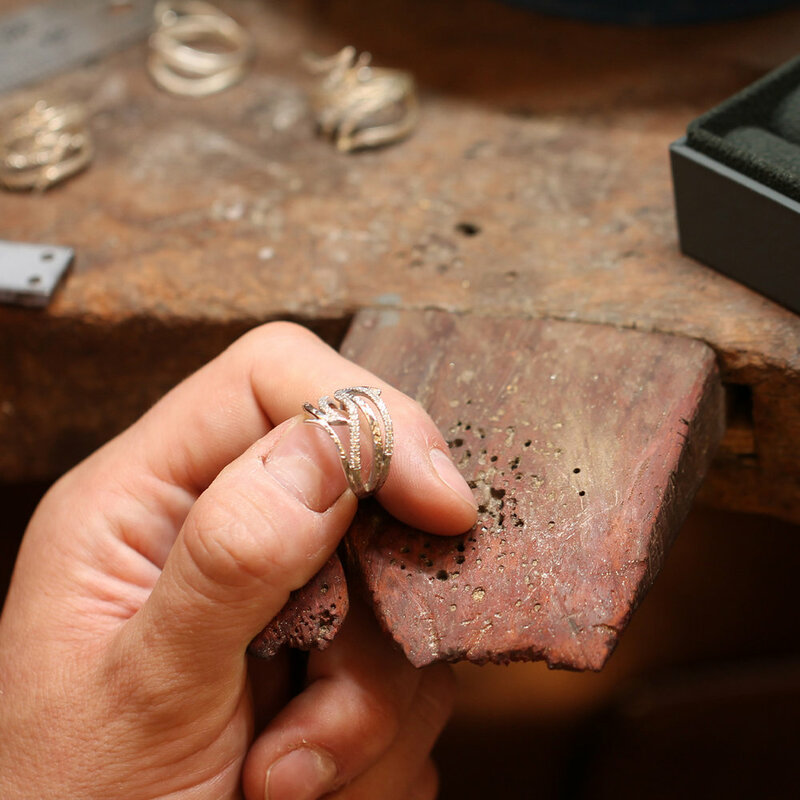 Will Odell has been hand-crafting gold and silver jewellery for over ten years and comes from seven generations of metalsmiths. With a degree in Jewellery Design from the University of Creative Arts, Will’s collections feature distinctive hammer-textured gold rings, earrings and pendants, made with traditional techniques and superior gemstones. Will was born in Silverstone and grew up an avid vintage car enthusiast, spending many weekends travelling around the country in 1920s cars and participating in motorsports events. This affinity with cars and the 1920s-30s era has greatly influenced his work, which can be seen through his Art Deco-influenced designs and classic style. 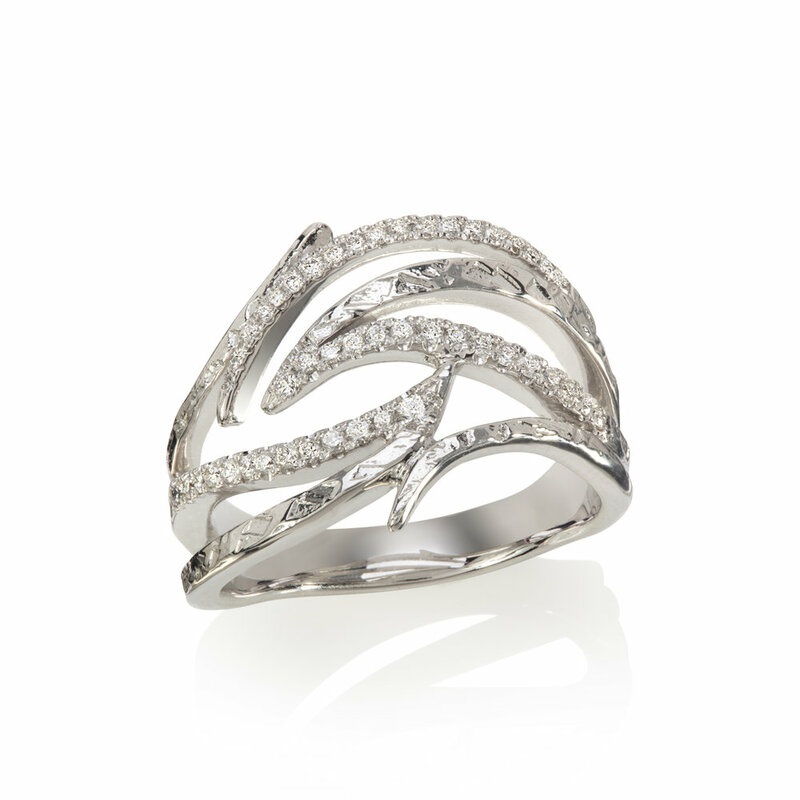 Will established Will Odell Designs in 2007 and is based in a studio in Holborn. He lives in Balham, London, with his wife and son.